What kind of human hair have you got on? What have you got on? Brazilian/Peruvian/Indian Hair? How is it going? My week has been filled with all manners of emotions-all manners I say. I attended the funeral service yesterday but didn’t have the heart to go w ith them to the cemetery. Bloody sad is what it is. But like I am quick to add, no matter what, let us lead death-ready lives, day in day out. As you sleep, though we say ‘I shall not die but live’, be prepared for eternity all the time. Never for one minute slack on your walk with God. It is not always going to be easy but his grace is surely sufficient to see us through. I attended Wednesday service at the Water brook in Oriental yesterday and it was Pastor Tony Rapu himself that ministered. It was so interesting and there was a lot to learn from him. I thoroughly enjoyed it. The only thing was that I had to strain my ears to hear him sometimes as he speaks very softly. 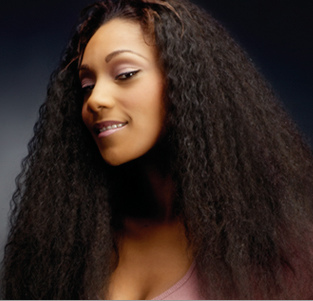 Today, I want to seek your opinion on an issue that worries/bothers/intrigues me: human hair. These days, everywhere you turn, of 10 females; at least 3 have on another human being’s hair on her head. It has evolved from being a fashion statement to a basic commodity of life. It is just natural to fix Brazilian these days. So natural is it that they even come in lengths as short as 8 inches so you get a very ‘realistic’ look from it. The other day, I was having a conversation with a male friend after seeing a documentary on the BBC about where the hair comes from, the gods to whom they are dedicated and the process of actually sourcing these hairs from the head of the original owner to the packs that are now sold at exorbitant prices. To say that I was shocked is to put it mildly. Here is a summary of the documentary’s findings. It is no breaking news that Indians practice idolatry and it is to their gods that they sacrifice their hair by shaving it off as a sign of reverence. It is then this offering that is washed and packaged and then sold on to the end users. What exactly am I saying? 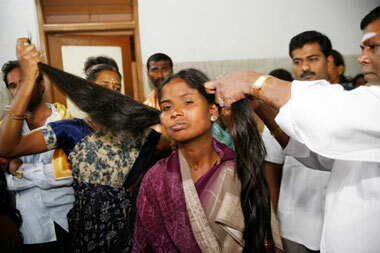 I have seen people (deliverance ministers) who claim that demons from these gods hide themselves in the hair. Remember, the hair was sacrificed to them and as such they have a legal right to it. As soon as you fix it on your head, they latch themselves you. Even long after taking it off, they remain a constant fixture in your life. During the period you have it fixed on, for instance, when you attend a job interview, instead of seeing your glory and abilities, all the interviewer sees is the demon on you and this leads to all manners of lost opportunities because another’s destiny is laid upon you. We all know the significance of the head right? Therefore, what you place on your head is without doubt, very important. By using human hair, are we falling for the devil’s gimmicks to erode our destinies? Or is it only for mere aesthetics? If we condemn this, do we not also condemn the act of vintage thrifting for example as you are basically putting on what another person has put on before? Could we even be wild in our imagination and condemn buying used cars too? Or heart transplant perhaps? Can we buy these human hairs and soak it in the Blood of Jesus asking for His blood to purify it and cleanse it from any attachment to evil powers and forces? What is your take on the use of human hair? PS: I presently have on 18”, 16” and 14” Brazilian hair so I dare not judge.